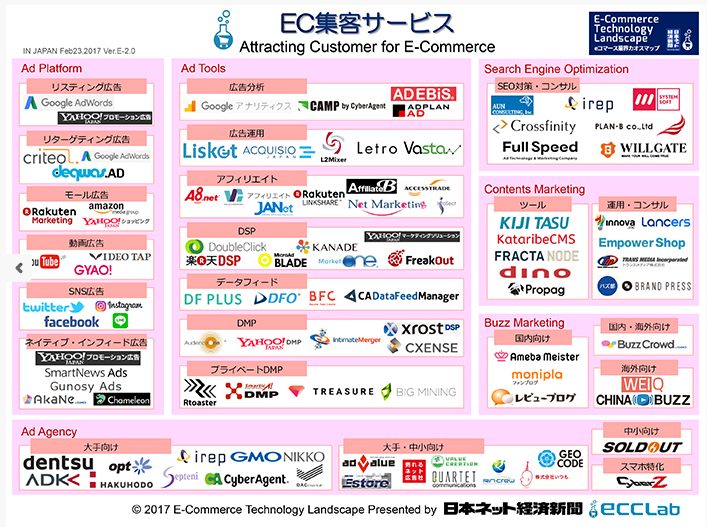 A look at many of the players in the Advertising Technology space working in Japan (2017) shows something like the following (courtesy of Net Keizai). 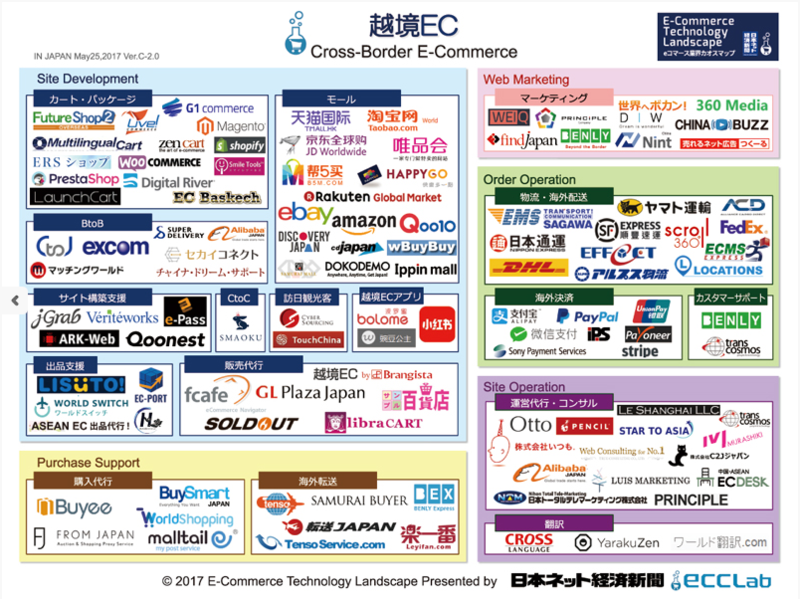 E-Commerce in Japan includes malls (Ebay, Amazon, Rakuten), site operations, translation services, purchase support (worldShopping, Buyee), site development, and order operations (DHL, Yamato, Nittsu). The E-C Marketing services includes SEO (irep, fullspeed), ad agencies, contents marketing (Lancers, Innova, Kiji Tasu), Ad tools (Google, Lisket, NetMarketing, DMPs, DSPs), and ad platforms (Criteo, Yahoo! promotions, social networks, native platforms).